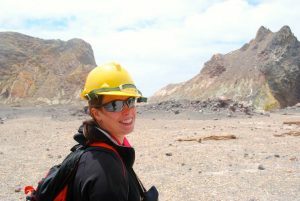 I graduated from Mater Christi in 2010 knowing that my passion was Geology. I completed and honours degree in 2014 in Applied Science – Geology, with a major interest in the development of Gold in Victoria. At University I have been involved in overseas study tours in Thailand and New Zealand, along with various study trips throughout Australia. In my third year I was asked to survey the geology at Narmbool, an operating sheep station and Environmental Camp owned and operated by Sovereign Hill; and then develop an educational program for Middle Years students. Sovereign Hill has now published and is using this program for Year 5-8 students. Earlier this year I accepted a position with MG Gold as a graduate geologist and am enjoying the challenges of working in mining and exploration. I’m looking forward to furthering my career both in exploration and underground operations. It is my aim to return to university to study commerce and engineering in the future so I can move into management positions further on in my career. There have been many challenges in my journey. From moving away from home to university where I was the only student from my school to working in a strongly male oriented industry. I would encourage girls whose VCE score is not what they were hoping, to not be disheartened. Follow your passion.